It was funny to hear debates on whether we were in a recession or not. For many people, this is a real recession. Not a recession for you? Great. Good for you. A few days ago I heard a radio ad that said “if this feels like a recession for you…” or something like that. I think we’re in for a few rough years. Maybe we aren’t in a national recession. But for 50,000 Citigroup people, it’s a personal recession. For 60,000 post office employees it’s a personal recession. For businesses who didn’t make it through this last year, it’s a personal recession. For the hundreds of homes in my neighborhood who are forced to be on the market, it’s a personal recession. For the guy/gal who was happily employed a year ago, and now watching coworkers drop like flies, the smell of personal recession is in the air. Last weekend a guy in Silicon Valley who got laid off went back and killed the CEO and two others. Personal recession and major workplace tragedy. There are some who are going to be prepared, and some who are going to have their worlds rocked. I really, really hope that you are doing the things you can to prepare for a personal recession. When can it happen? Who knows. I had my personal recession when it was a job seekers market. Go figure. I promise you it is a real recession and it started some time ago before “recession” was getting any press at all – our business is very much a leading indicator as diversity is the first to get cut when the economy slows down. (2) Funny thing that, I was just trying to post my own semi-coherent thought this morning about the fact that before this recession (and perhaps depression) is over, it will have ceased to be the problems of even a large proportion of us to become the reality of ALL of us. 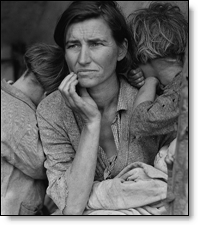 All of our lives will be affected, just like all of our (great-)grandparents’ lives were changed by the Great Depression. @Eric, thanks for the confirmation. If anyone has a pulse on the reality of recession, with regard to hiring and job search issues, it’s you. Sure it is! I am co-founder at JobeeHive. bad days are ahead! People need to be more careful about doing their next career hop. Know your employer before you make that move- thats exactly what JobeeHive helps you do..